My neighbor, who is a helluva nice guy, has it in for the trees on his property. He’s got a problem with roots burrowing holes into his basement. So for the last eight months, he has picked away at the branches, and some whole trees, pruning the lush shade over his property. Hanging over our backyard is a beautiful mulberry tree, which branches he hacked off on his side of the fence. Today, he would have finished the job, chopping the remaining green on the trunk. Luckily, I work out of a home office and in the basement, where the mulberry tree spreads out in view. We chatted, and he agreed to delay the tree’s execution, at least until the mulberries ripen and litter the lawn with food for birds and squirrels. Like I said, he’s a helluva nice guy—and I know it wasn’t easy for him to stay the execution. He’s thinking about roots and flooded basements. So for one last year—and I told my wife that maybe it’s a sign of our last here—the mulberry tree will fruit. Sigh. 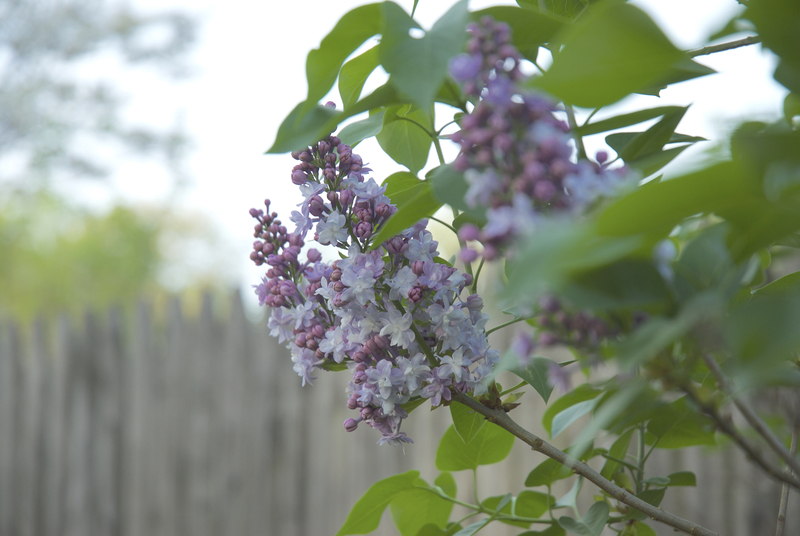 In the meantime, the remaining lilac bushes have started to flower, and their fragrance is nature’s perfume spreading across the backyard. I snapped this picture late today—and not in the best light—of the flowers. My nana loved lilacs, and I think of her with each spring flowering. Mmmm. She might have fought harder to save the mulberry tree. Maybe I should. My neighbor really is a helluva nice guy.